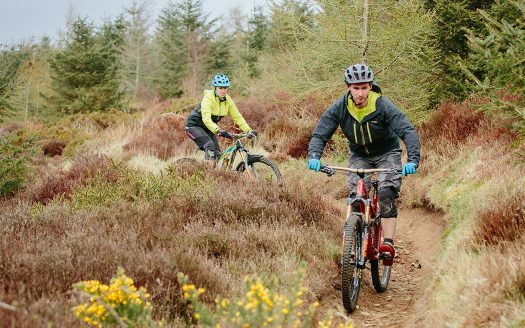 13/09/18: TRAIL CLOSED Due to Forestry operations the trail is currently fully closed for around 6 months. 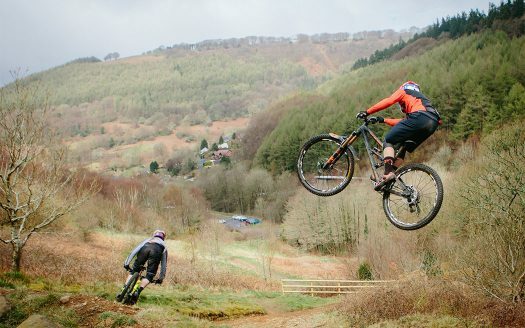 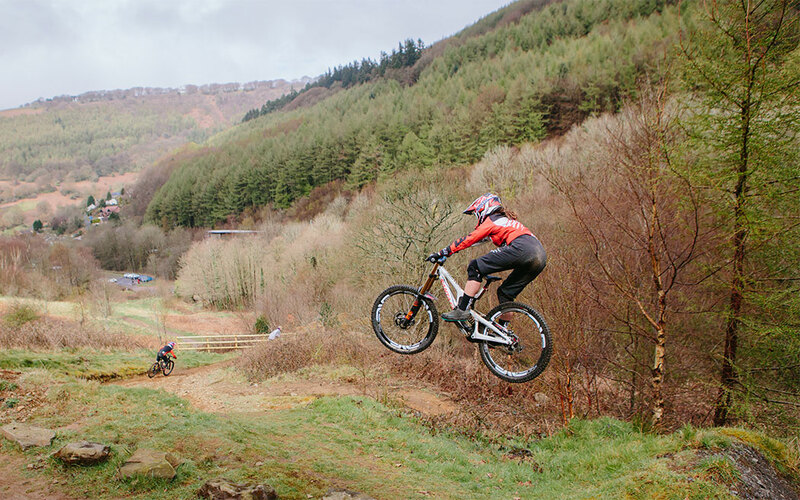 Cwmcarn’s new 1.4km Downhill Track follows the line of the old club-built trail down a steep side valley in the forest. 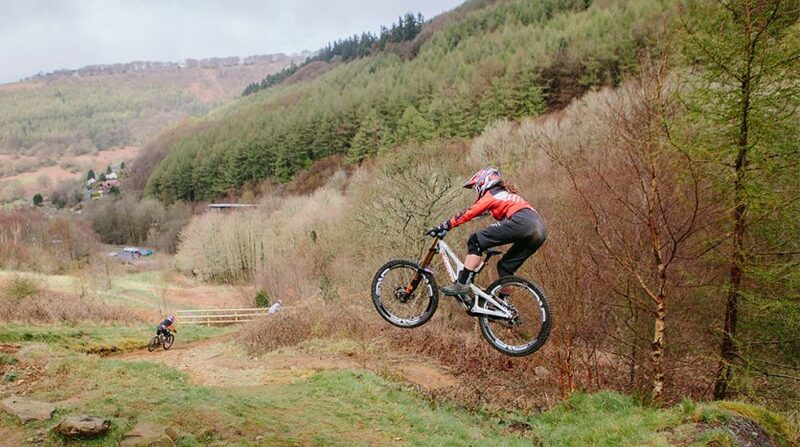 Access is via the Cafall XC trail or you can use the uplift service. 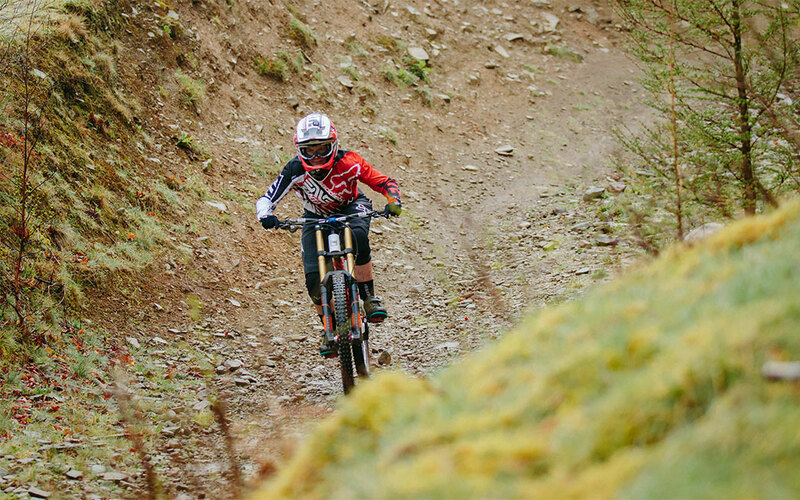 This trail starts off with a handmade rooty section through the trees and soon picks up speed as it flows in and out of the wooded sections. 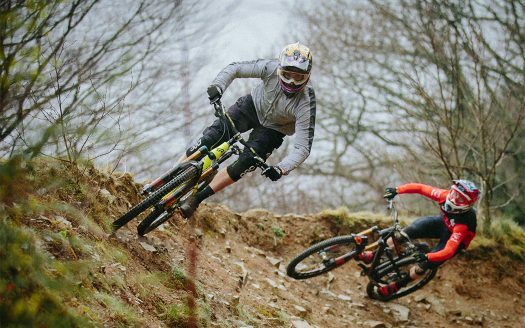 There are plenty of drops and technical lines with lots of roots, rock and stumps so keep an eye out for them and make sure you know what’s on the other side before ‘sending’ any of the features. 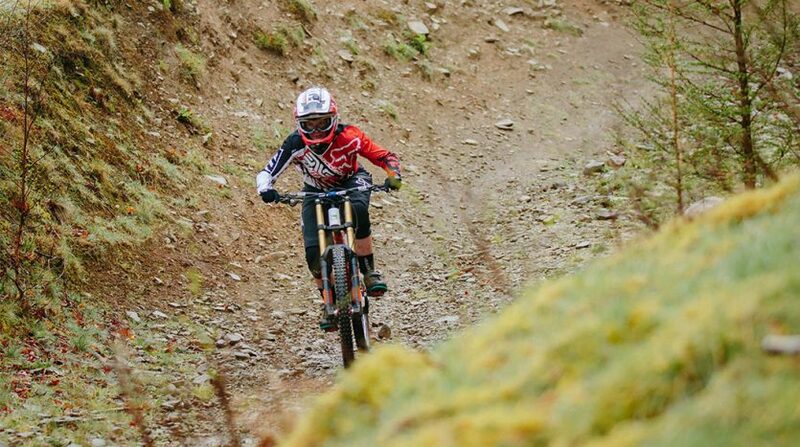 This track offers some steep technical sections combined with a very fast open section near the bottom. 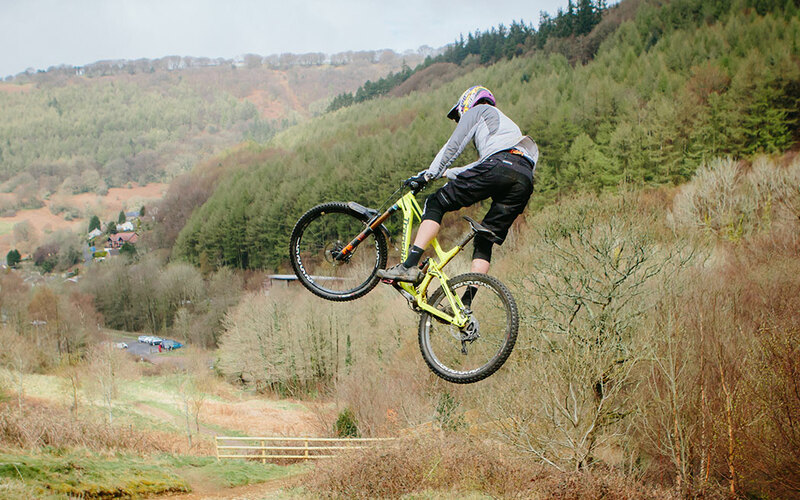 Pretty much everything on this track is rollable, and there are a number of line choices so you don’t always have to take the big air option. 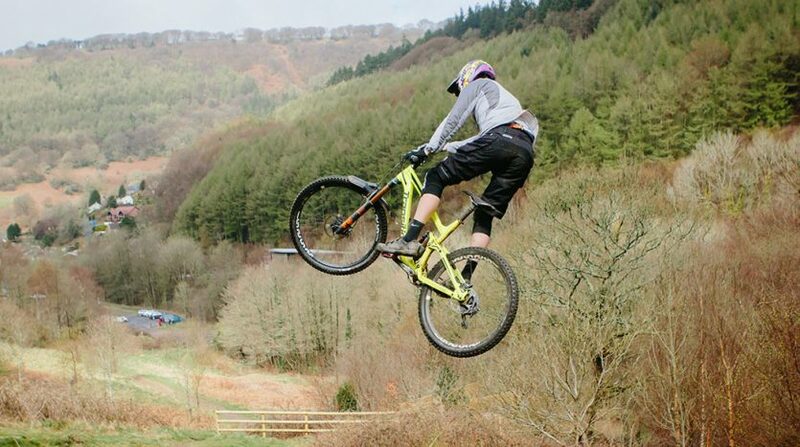 However there are some larger features like the gap jumps and some of the drop offs that you should check out before you ride them. 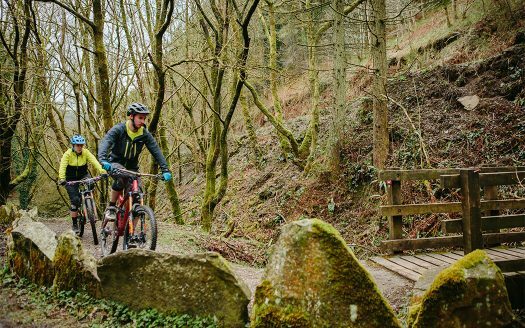 News/Update: 13/09/18: TRAIL CLOSED Due to Forestry operations the trail is currently fully closed for around 6 months.